US bank Citigroup has said it will take control of seven investment funds with risky assets worth $49bn (£24bn) as it tackles problems in financial markets. By taking control of seven structured investment vehicles (SIVs), it hopes to help the funds pay off debts without having to sell off assets cheaply. Since the summer's credit crisis SIVs have been in the spotlight after they saw many investments plummet in value. SIVs sell short-term debt and use the money to buy higher yielding assets. Many of the assets included mortgage-backed securities that have seen their value tumble after higher interest rates in the US pushed up the number of defaults and repossessions. Other lenders including HSBC and Societe Generale have also taken control of SIVs in a bid to bail them out. The problems with SIVs appeared when liquidity in the money markets dried up at the peak of the credit crisis this summer. SIVs rely on money markets to refinance their debts. Banks previously listed SIVs off their balance sheets so it was unclear how much exposure they had. By bringing them onto their balance sheet, banks are beginning to reveal the true extent of the impact of the credit crisis, analysts argue. "It's very indicative of the fact that we are nowhere near the bottom in the financial stocks," said Kirby Daley a strategist at Societe Generale's Fimat division. He added that there was a lot more to emerge, "both in terms of write-downs and in terms of exposure beyond sub-prime". The bank said it had reduced the SIVs' assets to $49bn from $87bn in August, without undermining the portfolio's quality. By placing them on its balance sheet, Citigroup is effectively providing guarantees for the investment vehicles. In November, Citigroup revealed that it could hold as much as $17bn (£8.3bn) in bad debt, prompting the departure of the firm's chief executive Charles Prince. And more recently the Abu Dhabi Investment Authority injected $7.5bn into Citigroup, in an attempt to improve the bank's ratio of debt to capital. But now that the bank has taken on $49bn in debt, this balance will be shifted again. Rating agency Moody's downgraded Citigroup's long-term credit rating and lowered the firm's financial strength rating after the move, on the grounds that the bank's capital to debt ratio would remain low. 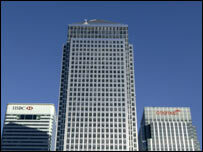 However, the bank said it expected the ratio would improve again in the first six months of 2008.